The aim of the guide is to help children and youth participate effectively in the UN Conference on Sustainable Development (UNCSD, or Rio+20). It shares best practices, tips and tricks, and existing examples on youth activism. 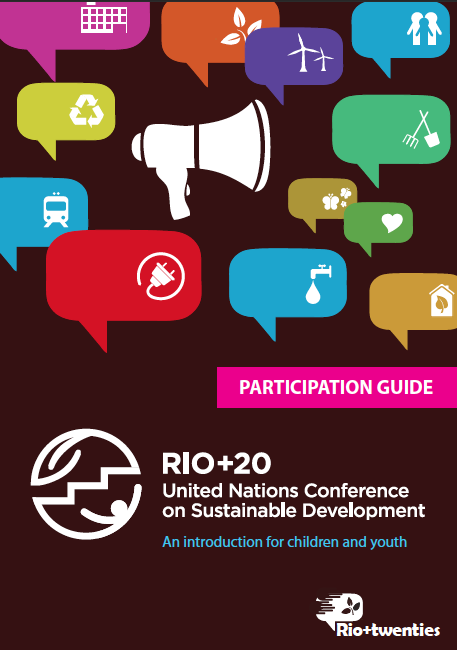 9 January 2012: Rio+twenties, a volunteer-based, youth-led organization working to advance youth participation the UN Conference on Sustainable Development (UNCSD, or Rio+20), has developed a “participation guide” to introduce children and youth to the Conference. The guide aims to make the Rio+20 process understandable and give children and youth participants the tools to be involved effectively. It identifies ways to make a difference throughout the process and shares best practices, as well as existing examples of youth activism.